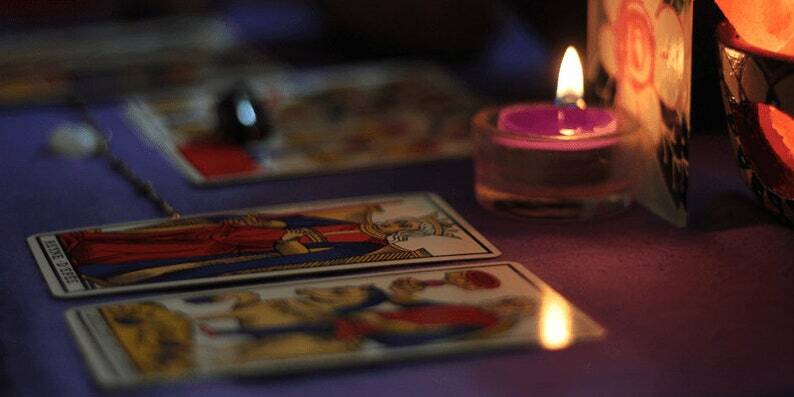 A tarot reading can be very good for getting answers and/or direction to a problem or situation that you would like clarity/insight on what matters most to you presently. If you would like to ask a specific question, then please include a note with your order (no legal or medical questions please). I will provide a private Tarot card reading within 24 hours, which will be in the form of a video/photo/audio recorded for you and will be available for you via a private download link which I'll deliver to you via email. You can then view/play back the reading as many times as you need. [10 card reading + oracle messages] 10 cards in the traditional Celtic Cross formation to give you an abundance of information regarding your past, present, future and a details look at your journey along with selected oracle messages as necessary. [1 hour LIVE Intuitive Session] We will work together via zoom video conferencing or phone to dig deep into your life's journey and find the answers that you've been yearning for. You can ask as many questions as time allows. The Tarot Deck that we will be using is a 78 card deck based on the Rider-Waite tradition and we may also use other oracle decks depending on the depth of your reading. Along with Tarot experience, learning and reading, I also bring to you a wealth of life/professional knowledge and experience plus life coaching and mindfulness training qualifications and skills to your readings. What a great deck!! Thank you so much! absolutely lovely and incredibly unique deck. the deck came in with a few printing errors but the shop owner was very sweet and went out of her way to make sure by the end of everything that the problem was corrected. i wish i could give them more than 5 stars for how amazing they were with communicating and ensuring i was 100% happy with my purchase.